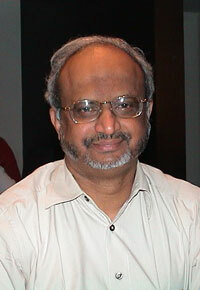 Today we’re talking with The Diplomat columnist Madhav Nalapat, a UNESCO Peace Chair and former Times of India editor. As well as being a professor at Manipal University you’re also a UNESCO Peace Chair. What does this involve? UNESCO has set up Peace Chairs in universities across the world to promote a culture of tolerance, democracy and human rights. One of the two universities in India selected for a UNESCO Peace Chair was Manipal University, whose then Vice-Chancellor Dr M S Valiathan invited me, in 1999, to join as their first UNESCO Peace Chair. As Peace Chair at Manipal, I’ve been involved in numerous initiatives at both the macro as well as the micro level. The macro initiatives have been the creation of non-official tracks to identify ways of improving relations between India and other countries, principally China. I’ve visited the country several times since 1999. Others include an India-Iran track (in collaboration with Tehran’s Shahid Beheshti University) to promote secular values as well as periodic India-Israel-US roundtables. Israel can be a good example for the Middle East because of its strong knowledge society and the huge number of innovations in what is a very small country compared with the giants to its east. At the micro level, there have been initiatives to roll back extremist mindsets and replace these with secular values. A recent initiative is the backing for the ‘Education for Peace’ movement, which seeks to train ‘positrons’ who in turn can train teachers to include lectures and courses designed to show the importance of tolerance in human society and the ills that follow an increase in extremism. Happily, key corporates in India (such as the Global Group) have joined in this task, and are funding several local initiatives besides backing the development of peace curricula and the training of volunteers. You used to be Coordinating Editor—in charge—of The Times of India. What do you make of the state of the media in India? Is it healthy? Media in India is healthy in small patches. For example, in print journalism, the Ananda Bazar Patrika Group has maintained a tradition of managerial non-intervention in editorial matters, although as yet the chain has only a small presence outside Bengal. In broadcast journalism, Times Television is going much farther than other channels in challenging establishment views of events. However, overall, the media in India is a disappointment, unwilling to invest resources, time and manpower to track down instances of major graft. Some media proprietors prize invitations to the breakfast tables of the powerful much more than they do exposes of the high-ups, whom they regularly approach for personal and business favours, with the result that independent editors have now almost become extinct in India. The anaemic state of the media in India, a country that has a much lower strike rate against political and official misfeasance than outlets in the US and the EU, reflects the poor state of civil society in the so-called world’s biggest democracy. Civil society in India needs to coalesce around broad themes and needs a pan-Indian resonance, yet has allowed itself to get fragmented into myriad small groups, each championing the perceived needs of a small segment of society. Such splintering of civil society platforms in India has enabled vested interests to selectively pick on a few while indulging others, rather than face coordinated action on fronts such as official corruption and political lack of accountability and nepotism. Take as an example the party system in India. Practically every party is controlled either by a single family or a self-perpetuating clique. There’s no prospect in India of a Tony Blair-style turfing out from the leadership, or an Obama-style takeover from the Clintons. Such longevity in office makes the Indian political class contemptuous of the need to generate results, thus making them a leech on the system rather than a source of energy. Add to this the enormous discretion given by the colonial-era legal system, and you have the reason why the country is so pathetically behind a country such as China in overall development, and South Korea in per capita income. Why has Indian private industry been kept off the milch-cow that is defence procurement, whereas a few government companies and foreign firms siphon away tens of billions of taxpayer dollars each year? Why do 200 million citizens go to bed hungry each night in a country where last year, 15 million tons of food grain rotted in government warehouses? If we had a healthy media, would any of this happen? You spend a lot of time travelling to China and Taiwan. How optimistic are you that China and India will be able to co-exist peacefully? The problem with China is that the PLA has its own foreign policy. China is in between countries such as Pakistan and Burma, where the military controls the state, and India or the US, where civilian authority is supreme. The military has become an independent player within state authority. The PLA sees India as a rival, and has ensured that the border issue won’t get settled in the way recommended by Zhou Enlai in 1961 and that the Pakistan Army gets missile and nuclear technology that it believes will help to hem in India. By focusing only on the narrow prism that is within their field of vision, the PLA’s policymakers are sacrificing the long-term interests of China, which is forging a cooperative relationship with India. In Afghanistan, the PLA is seeking to ‘do a US’ on the US, by relying on the Pakistan Army to sabotage NATO, the way it put paid to Moscow’s hopes in the 1980s.The PLA believes that a NATO humiliation in Afghanistan would ensure its own primacy in Asia. What they forget is that the monster of extremism is seldom choosy about its enemies and to expect the Pakistan Army to control and direct the radicals it funds is to ask for too much by a force that is only a shadow of what it was in the 1980s. Against this, President Hu Jintao seeks a durable relationship with India, so the question is whether he can prevail over the hotheads in the PLA or not. Since the time of Jiang Zemin, the military has been pampered and given so much autonomy in policy that it can truthfully be argued that the Party no longer controls the gun, but only influences it. Unless the CCP gets back control of the PLA, times will remain unsettled for India-China relations, and a new border conflict with India and Vietnam can’t be ruled out. Eventually, once civil society develops enough to create a system of laws that have the chemistry of democracy rather than colonialism. If a citizen wants to undertake any kind of productive activity in India, he or she gets faced with mounds of red tape, most of which needs bribes to clear. Thus far, there’s little sign of change. Even the half-hearted reforms of the 1990s have been largely reversed since 2004, when Sonia Gandhi’s UPA took office. The country has gone back to the paternalism of the Nehrus. Amartya Sen, Sunil Khilnani, Sashi Tharoor and others keep harping on how Nehru ‘brought democracy to India.’ They seem to have very little knowledge of actual conditions in the country. Nehru destroyed Indian private industry and just added to the colonial laws that constrained Indians. Independent columnists such as A D Gorwala were driven out of newspapers, proprietors such as R K Dalmia (who disliked Nehru) saw their empires dissolved. Even today, the discretion allowed to Indians by the state is much lower than in the countries that Sen, Khilnani and Tharoor have spent much of their lives in. This deification of mortals is of course an Indian trait, one that ensures the goodwill of the powerful for its practitioners. The fact is that democracy in India is a work in progress, and that the Nehru era saw very little increase in the meagre ration of freedoms enjoyed by people of this land under the British Raj. Hopefully, the new generation will challenge such restraints rather than sing hosannas to them, the way their predecessors have. If so, India can become a superpower. My first enunciation of an Asian NAATO (or North America Asia Treaty Organisation) was in 2001. This was met with a lot of scepticism, and the US continued the Truman-Dulles policy of going piggyback on the Europeans in Asia, even during the Iraq and Afghanistan wars. However, these days, there are signs that an Asian version of NATO may be evolving, one that would link the US and Canada with Qatar, Kuwait, India, Indonesia, Singapore, Australia, Vietnam, Thailand, Japan and South Korea into a single defensive alliance that avoids the trap of reviving memories of the European-dominated colonial past of Asia.